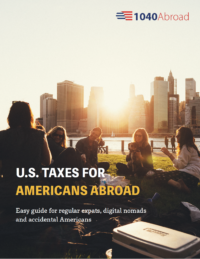 The United States is only one of two countries to impose the tax on their citizens wherever they live. One of the implications of Prince Harry marrying Megan Markle (who is a U.S. citizen) would relate to the activities and assets of the royal family being disclosed to the IRS. Mrs. Markle would have to report specified assets outside the U.S. She’d need to do that if the total amount of these assets exceeds the US $ 200,000 on the last day of the year. Or in another case, if it reached $ 300,000 at any time during the year. (This threshold refers to this because we assume that she and Prince Harry will not file the 1040 joint form.). She would have to do so by filing form 8938 disclosing to the IRS her assets. These assets would include beneficiary interests in foreign trusts for instance. This is on top of the reporting of her non-US bank accounts on an FBAR. You need to file FinCEN Form 114 if the assets reach at least US $ 10,000 during the year. What about the disclosure of gifts? If a U.S. citizen receives gifts from foreign persons worth at least $100,000, he/she would have to disclose all such gifts on form 3520. Failure to disclose gifts from foreign persons on form 3520 carries a penalty of $10,000. If the engagement ring she received from Prince Harry cost at least $100,000, she would have to report all such gifts, including a $500 gift from the Queen. Likewise, does the IRS consider spousal support as a gift? If the royal family was to send Megan on a humanitarian trip, would her compensation be considered taxable wages in the U.S.? Would it be a gift reportable on form 3520? This doesn’t account for the fact that she might have actual tax owing due to differences between the tax regimes of the United States and the United Kingdom, as Boris Johnson found out. What if Megan Markle decides to renounce U.S. citizenship? All roads lead to renunciation… Megan Markle wouldn’t get special treatment to get British citizenship. Should she chose to wait, she would leave a substantial paper trail, and possibly tax owing to the U.S.
Should she renounce now, she might become stateless (a few countries in the Commonwealth do have citizenship-by-investment programs). Even without that, she could get a travel document (1954 convention), these typically come with significant travel restrictions. But given her profile, she just might be doing alright. Given her wealth of $5 million, she would be a covered expatriate, as would be the case for those with a wealth of more than $2 million. This would lead her to have to pay capital gains on unrealized gain based on a deemed disposition of all her assets. It’s as if she sold them at fair-market-value on the day she renounced. How can Meghan avoid being a covered expatriate? She could gift assets in order to have her wealth drop to under $2 million. It is worth noting that a covered expatriate gifting to a U.S. citizen after renouncing would cause such gifts to be taxable to them. Donating assets to them before renunciation could both help her reduce her wealth and help them avoid that tax. Or sell assets which already have unrealized capital gains. By doing so, she would owe the tax in the United Kingdom. And she could then offset her U.S. tax owing by using the foreign tax credit. If she owns mutual funds, they might come with their own challenges, these could be PFIC. PFIC comes with a special tax regime. If a timely election was not made, it would cause them to be taxed under the excess distribution regime. Which means with gains allocated thru the holding period, taxed at the maximum tax rate plus interest, leading to effective tax rates in excess of 40%. The earlier she renounces, the less she will expose the royal family to the reach of the I.R.S.